Your wedding is likely to be one of the most important days of your whole life. It’s the day when you finally get to say, “I do” and commit yourself to the man or woman of your dreams. Your wedding day is a day for happiness, love and commitment, so it’s understandably vital that every aspect of the big day goes smoothly and according to plan. When you come to the daunting task that is planning a wedding, some things will immediately take precedence over others in terms of importance. The date and the dress are a given, but what about the venue? The venue that you choose is an absolutely essential part of the day. Not only will it impact on the day as a whole, but it also has the potential to influence a number of other key decisions you need to make regarding the occasion. Therefore, the venue should always be one of the first things that you decide upon as a couple. The venue you choose will have an impact on the date, décor, guest list and your budget, so it is an important decision that you need to carefully weigh up before making any snap decisions. Of course, some couples will already have their perfect wedding venue firmly in mind. Whether it is a local church or a venue or location that holds special significance for the couple, for some the decision is already made. However, if you don’t have a specific venue in mind, how do you decide where will be best for you? 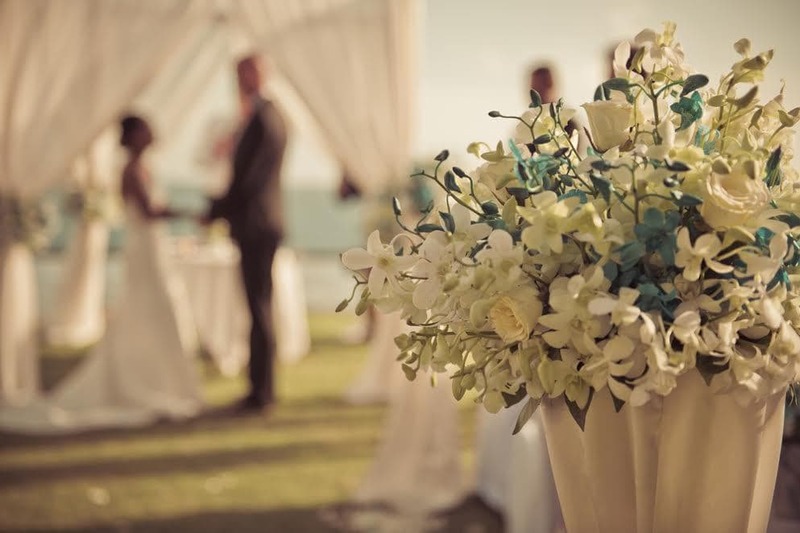 Here are some useful tips and ideas to help you pick out the ideal location for your wedding. Your family and friends are likely to be almost as excited about your upcoming wedding as you are, which means the likelihood is that they are going to be full of ideas and suggestions. If you’re unsure, it can be a good idea to ask for advice and get some guidance about what they think is best. If you are hiring the services of a wedding planner, they should also be able to assist you. Every wedding has a theme. Whether it is a traditional white wedding, something small and boutique, or a creative theme entirely of your own, this will influence many aspects of the wedding planning process. Deciding on a theme can also help you to pick out a venue. Look for venues that align with your theme – for example, outdoor weddings are great for that vintage, eco feel, or alternatively, small wedding venues can help the day seem much more personal and intimate. Knowing who you want to invite can really help you to pick out a venue that suits your needs. If you have many friends and family members to invite, you will understandably require a much larger space than a couple who only plans to invite close family and a few carefully-chosen friends. Once your guest list is decided, this can help you whittle down your options. Luxury or premium venues will cost far more than their budget counterparts. While you never want to compromise on your big day, sometimes it is worth shopping around to find a venue that suits your needs at a price that suits your budget. After all, it’s all very well getting married in lavish surroundings, but you need to remember to put aside enough of your budget to use for the other aspects of the wedding without breaking the bank! Whichever venue you eventually decide to go for, the most important thing is to choose a location that feels right for you as a couple. Your wedding is an entirely personal milestone and a big moment in your life, so it’s vital that the venue you choose reflects this. Once you’ve got the venue all picked out and booked up, it’s time to focus on the next stage of the wedding planning process. Good luck!